Have you ever been served eggs benedict in a bank? Well, you can make it happen now. 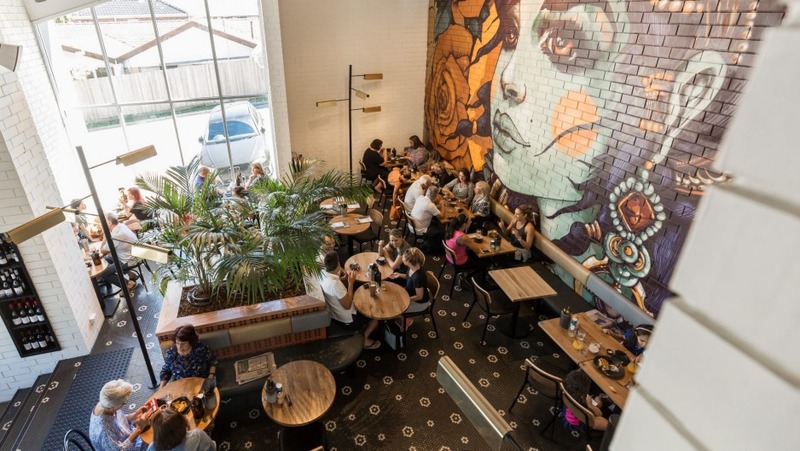 Just go to Riddik, an all-day restaurant that's transformed the old ANZ bank building in Templestowe's shopping hub into a big, bright, eager-to-please hangout. There are so many ways to play this venue – early or late, snacky or sumptuous, healthy or heart-attack, solo or social. 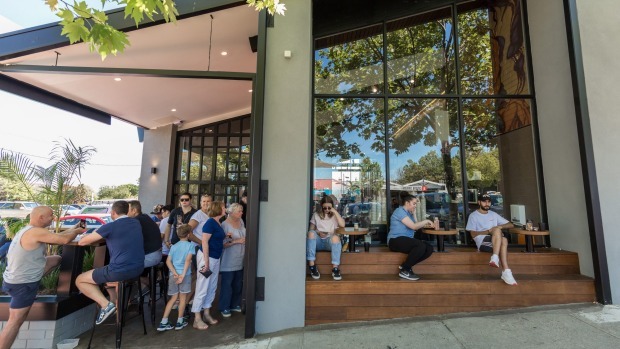 It's as though the owners (a trio with experience at Richmond cafes Penny House and 7 Grams) brainstormed every conceivable casual dining scenario and worked out how to say "yes" to each one. Grab takeaway from the hole in the wall where the ATM used to be. Meet your mothers' group for skinny lattes or bub-free cocktails. Schedule a business meeting over steak sandwich and shiraz. Come after the gym for raw tiramisu slice. Sit outside after work for beer and wedges. Come for a date or en famille: there's a decent kids' menu. No wonder the locals are loving it hard. Back to those eggs bene, which have their own section on the menu. 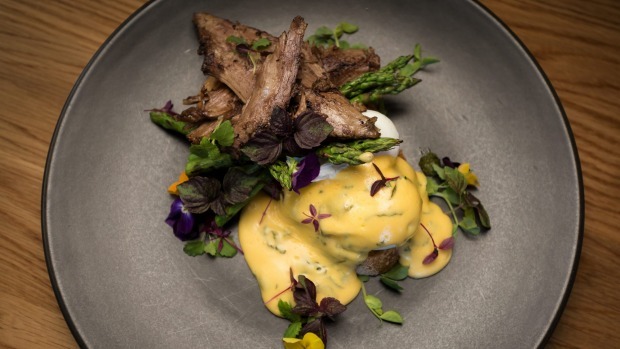 There are six varieties: classic, smoked salmon, pastrami, soft-shelled crab, lamb and pork belly, partnered with four different types of tweaked hollandaise. I had the lamb version: slow-cooked, shredded shoulder with good free-range poached eggs and mint-spiked, silky sauce. The flavours were great but the lamb was a little dry, possibly my fault for ordering it mid-afternoon. 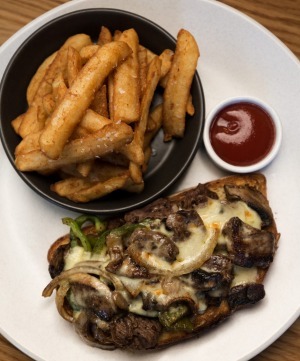 No such quibbles with the steak sandwich, a tweaked version of the classic Philly cheesesteak (a steak, onion and melted cheese roll), made here as an open sandwich with gooey provolone cheese, green capsicum, mushroom, onion and butter tender slivers of steak. The beef is prime cut trimmings saved from the dinner menu, just one example of chef Adam Robins' efforts to capitalise on the all-day scenario to reduce waste. The cheesesteak straddles the day and night menus, as does the coffee-glazed burger with cola-infused barbecue sauce. The way chef Robins tells it, the caffeinated glaze is a way of extending Riddik's coffee obsession right through to closing: if you've ever thought the only thing missing from a burger was a dose of the jitters, then this is your monster. Healthy options are more prevalent on the day menu. The poke bowl made me feel like doing star jumps as soon as I looked at it, a jumble of grains, diced pineapple, macadamias and sprouted seeds topped with lightly soy-marinated raw tuna. 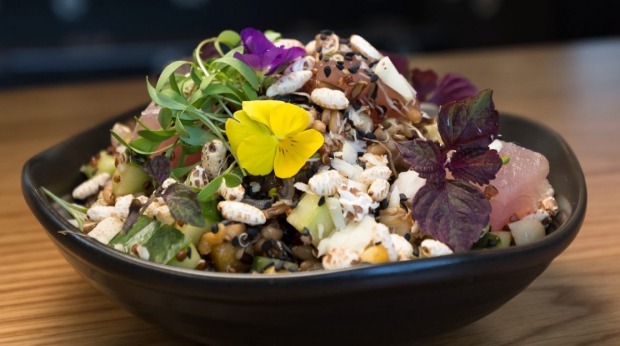 This kind of dish is ubiquitous in Melbourne but just because it's wholefood doesn't mean it's tasty and satisfying – this exemplar is both those things. The real hero of Riddik is the space: it's an exciting place to be, with soaring ceilings and a swooping roofline, a mezzanine overlooked by a vibrant mural, and a lovely mix of booths, nooks and bar seating. With 130 seats and a large menu, it can get cacophonous and busy but energetic staff plough on with enthusiasm and pride. There are plenty of things I love about the internet age but Riddik can sum it up. Isn't it a great world that turns a boring bank into a cool cafe, then lets me sit in it, sip coffee and, who knows, even do some online banking while someone cooks me a supercharged eggs benedict?